Blue Heaven Artisto compact gives a soft focus effect with the help of oil abosorbing ingredients.spreads smoothly on your face giving it a velvetty feel. It also gives a matte look to your face through out. 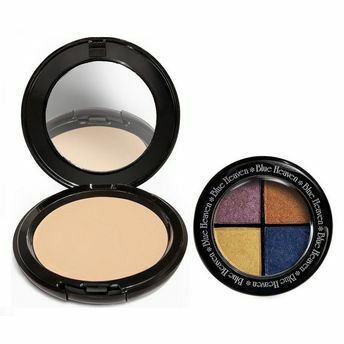 Blue heaven eye magic instant eye shadow gives your eyes an extra smooth and adhering defined finish. The radiant colour and shimmer, shape and highlite your eyes making you look very glamourous.